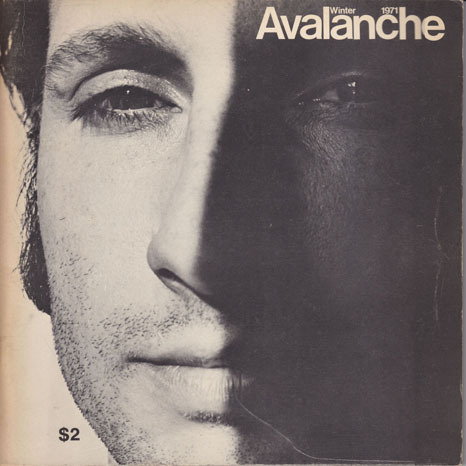 Avalanche magazine was founded by Willoughby Sharp and Liza Béar shortly after they met in 1968. At the time, Sharp was a New York-based art historian and independent curator and Béar an underground magazine editor who had recently moved to New York from London. 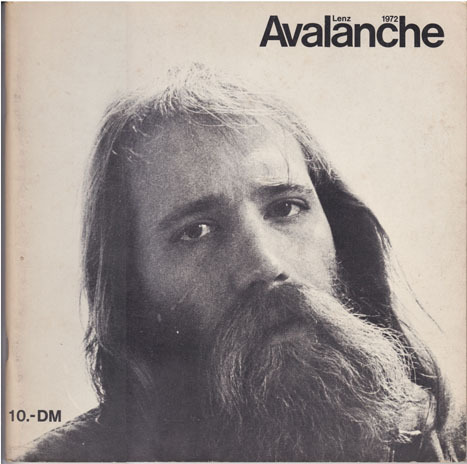 They published the first issue in 1970 and collaborated on 13 issues from 1970 to 1976. 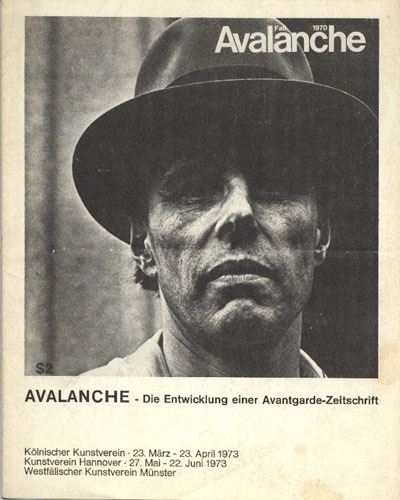 Among the featured artists were Vito Acconci, Laurie Anderson, Bill Beckley, Joseph Beuys, Chris Burden, Daniel Buren, Hanne Darboven, Walter De Maria, Jan Dibbets, Barbara Dilley, Simone Forti, Gilbert & George, the Philip Glass Ensemble, Grand Union, Hans Haacke, Jannis Kounellis, Meredith Monk, Barry Le Va, Sol LeWitt, Richard Long, Gordon Matta-Clark, Bruce Nauman, Dennis Oppenheim, Steve Paxton, Yvonne Rainer, Klaus Rinke, Joel Shapiro, Jack Smith, Keith Sonnier, Richard Serra, Robert Smithson, George Trakas, William Wegman, Lawrence Weiner, the Western Front and Jackie Winsor. Featured artists include Bruce Nauman, Terry Fox, Klaus Rinke, John Van Saun, Dennis Oppenheim, Richard Serra, Yves Klein, William Wegman, Vito Acconci, and Bruce McLean. 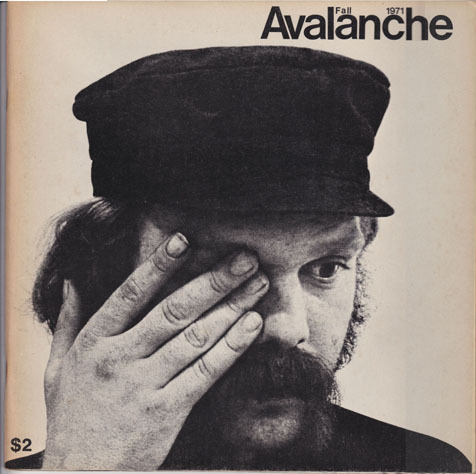 Featured artists include Jackie Winsor, Sol LeWitt, Howard Fried, Alice Aycock, Stanely Brouwn, Franz Erhard Walther, Hanne Darboven, Walter De Maria, and Lawrence Weiner.